Subaru’s second SUV attempt is much, much better. Subaru has tried this before. The ill-fated and rather strange Tribeca fell short on a number of fronts, and it never really resonated with buyers, particularly Subaru fans. 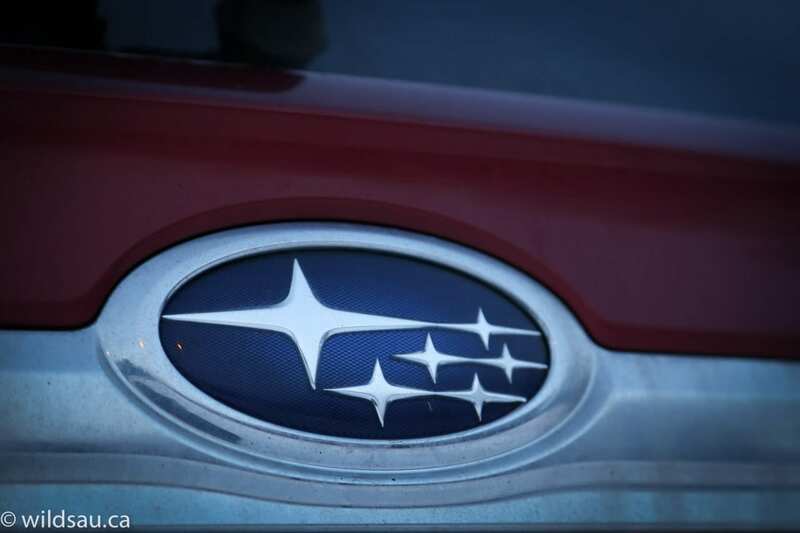 It came at a time when Subaru was starting to reinvent itself on numerous levels. The company has come a long way in making vehicles that appeal to masses more than ever. 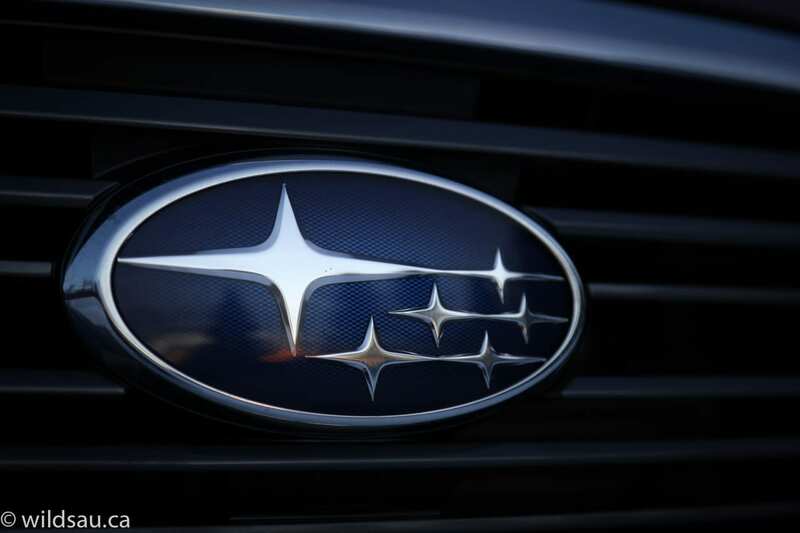 There was nothing wrong with the fascinating and quirky product line from Subaru in the past, but in many ways, that limited its appeal to a smaller subset of buyers. Subarus of late have become more mainstream and items of mass appeal – although they still retain much of their Subaru-ness. This has helped Subaru sell more vehicles. 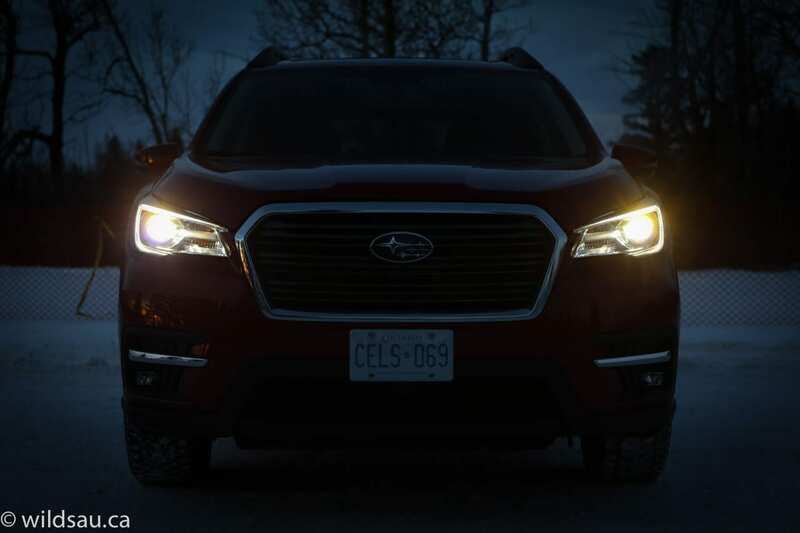 The Ascent is perhaps the most mainstream of all Subarus to date. 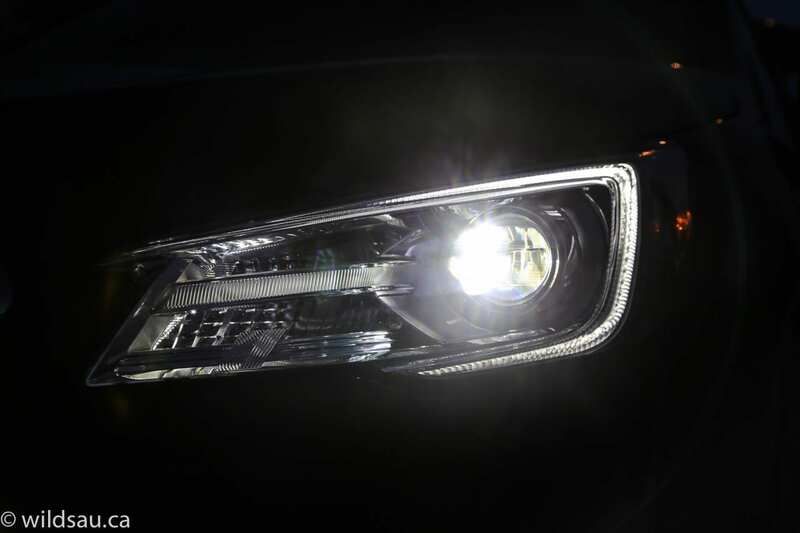 Let’s have a closer look at what the biggest Subaru ever has to offer. Yes, the Ascent is pretty bland. It’s one of the things I disliked about it from the start. 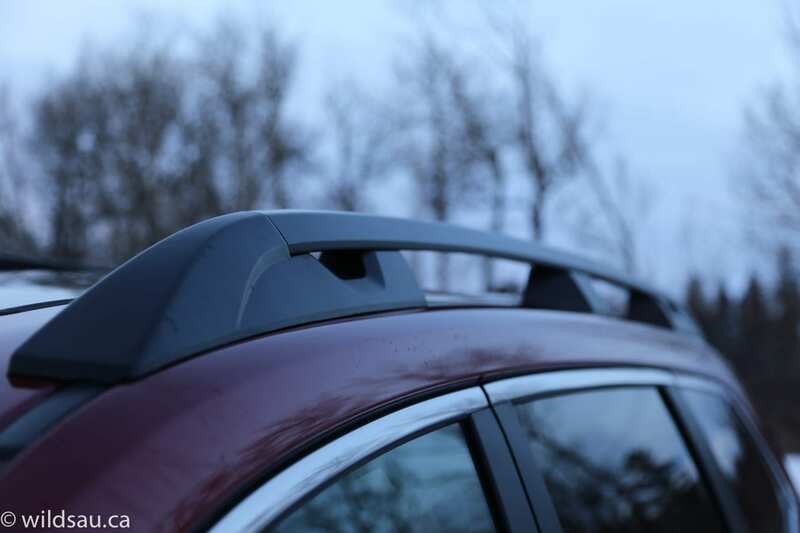 I love the quirkier styling from Subaru, like the Forester and even the Outback. The Ascent will not stand out in a crowd. Ever. It is perhaps the most derivative styling exercise I’ve seen in long time, taking cues from basically every other competitor in the three-row mid-size crossover/SUV marketplace and blending them together. 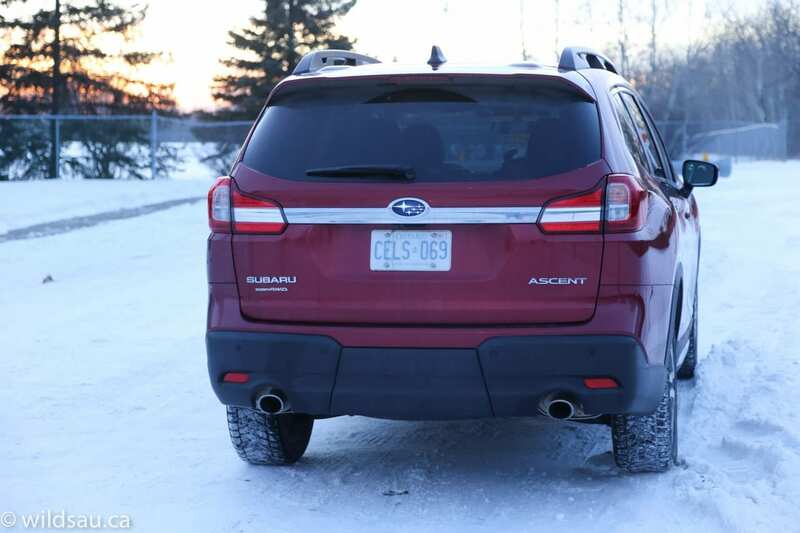 Sure there are a few Subaru things like the grille and the tail lights, but overall, it’s a mish-mash of what others have done and it’s pretty boring. With that said, it’s a decent-looking vehicle – it’s not offensive and there’s nothing wrong with it. What you do notice right away is the size. This thing is big – it has to be. The proportions are decent and the styling works. My almost-top-line trim Ascent sports 20-inch rims with chunky 245/50-sized rubber. The headlights and foglights are LEDs. It isn’t just the outside that makes the 7-passenger Ascent feel big. It is big. Once you step into the cabin, you are treated to a roomy cockpit with plenty of head room. It’s handsome too! 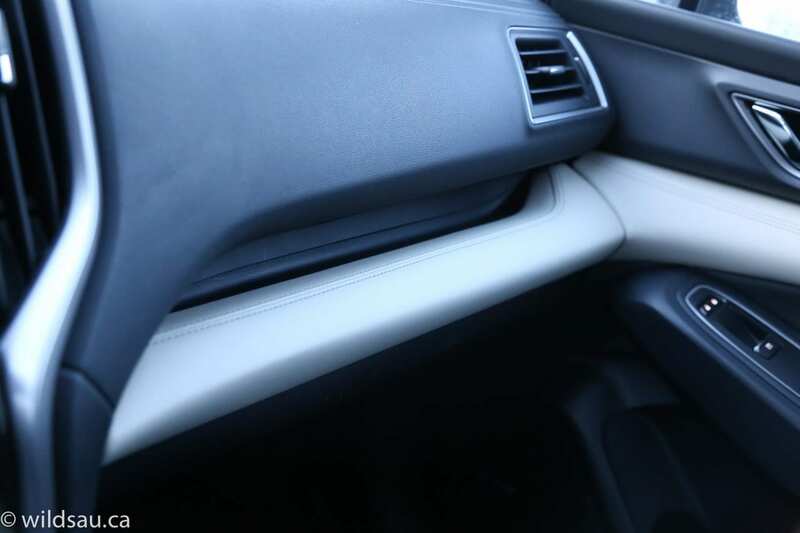 You’ll find very nicely textured soft-touch plastics and lovely stitched panels on the dash and doors. We really liked the lighter coloured trim that makes its way around the middle of the dash to the doors, as well as the lighter pillars and headliner fabric. It went a long way toward brightening up the space. 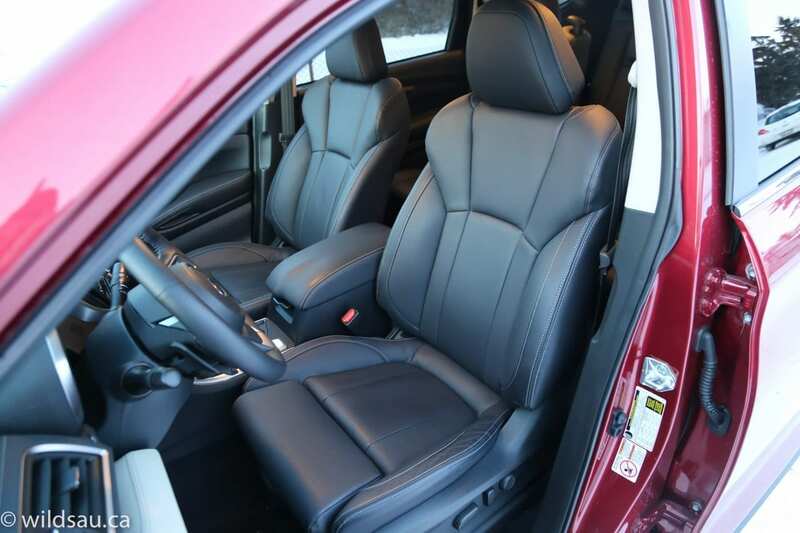 The heated leather seats are power-adjustable (with driver’s side memory settings), comfortable and very well bolstered. They are also nice to look at with their contrasting stitching and different articulated panels of leather. 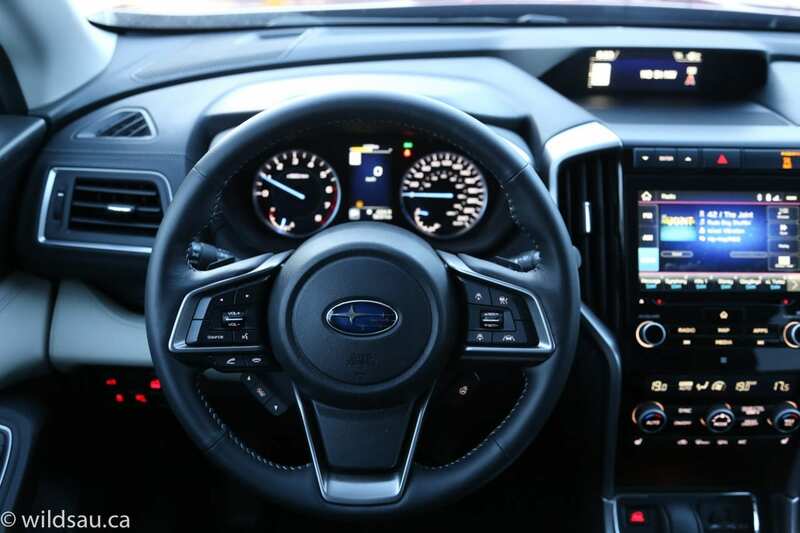 Front and centre in the dash is Subaru’s 8-inch touchscreen which is very responsive and sports quite a good user interface. 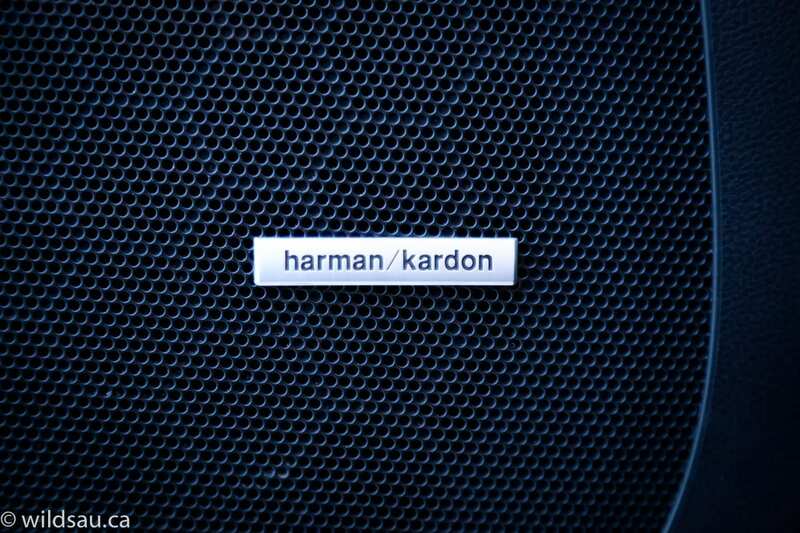 It handles navigation, phone and audio functions – the 14-speaker Harman Kardon sound system is excellent. Apple CarPlay and Android Auto are nicely integrated. But what I really enjoyed was the 6.3-inch upper screen, nestled into the top of the dash. 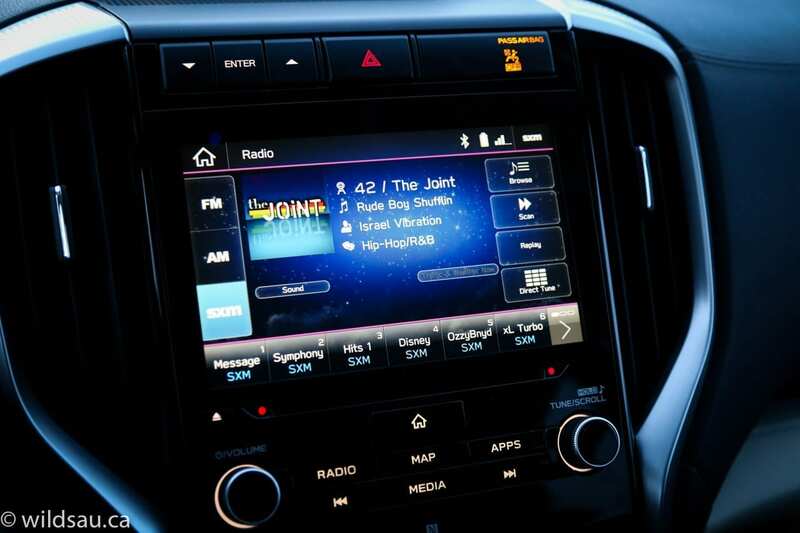 It’s a customizable display, allowing you to display anything from navigation instructions, fuel economy, audio “what’s playing”, and a wealth of other stuff. 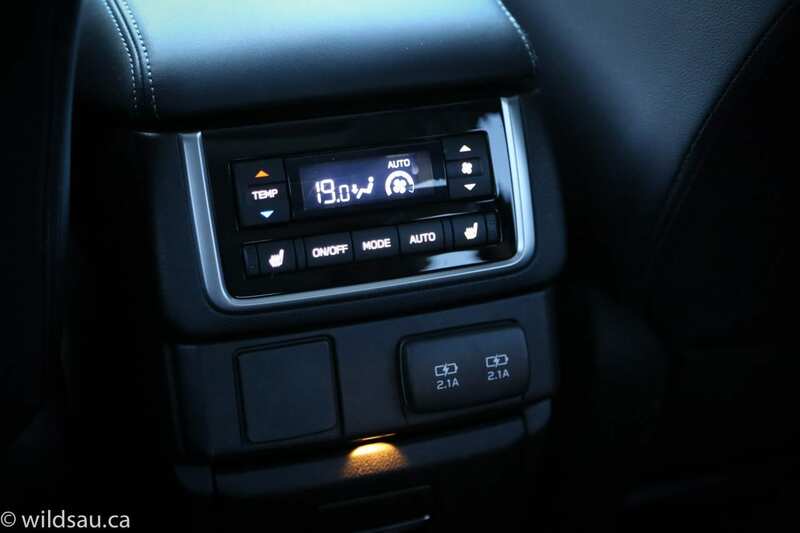 A quick shout-out to the Ascent’s climate control system. There are three zones – dual zones for the front and a rear zone. I was very impressed with how easy it was to control the rear temperature using the front panel. That’s quite unusual – often manufacturers come up with a horribly complicated way of trying to manage the rear temperature from the front. 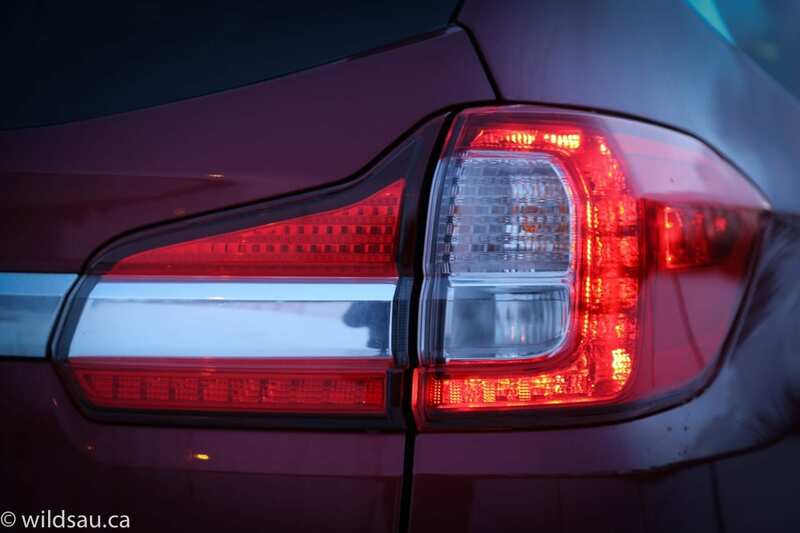 When it comes to driver assistance tech, the Ascent in this trim has all the bells and whistles thanks to the EyeSight system. 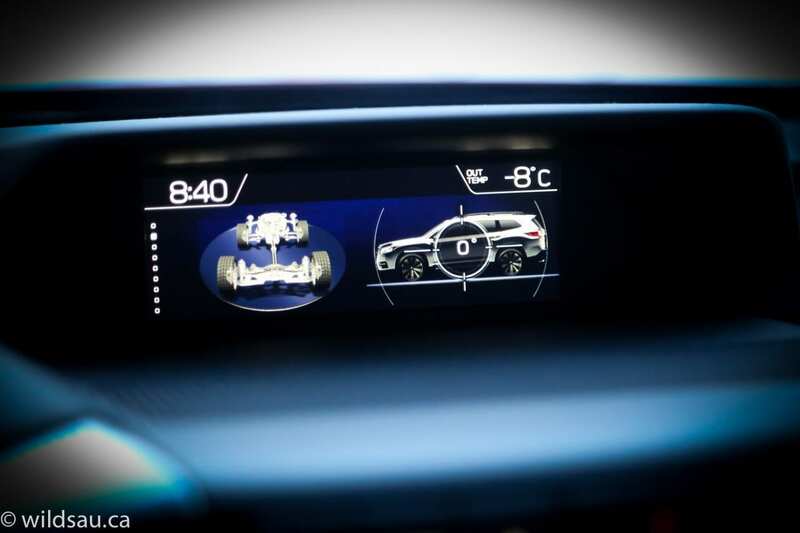 There’s pre-collision brake assist and braking, adaptive cruise control, lane departure warning, lane sway warning, lane keep assist and lead vehicle start alert, blind spot detection, lane change assist, reverse automatic braking and rear cross traffic alert. And of course a back-up camera. It basically all works well – the one mild exception was the lane departure alert which felt too sensitive and became a bit irritating but you can turn it off at will. The attention to detail in the trim continues to the back seats – plenty of soft-touch plastics, stitched panels, contrasting colours, etc. This Ascent had the two captain’s chairs for the second row – they’re heated, slide fore and aft and recline. Unless you absolutely need seating for 8, this is the way to go. I’m 5’10”, and sitting behind my own driving position, I had tons of leg room and about an inch and half of head room to spare. 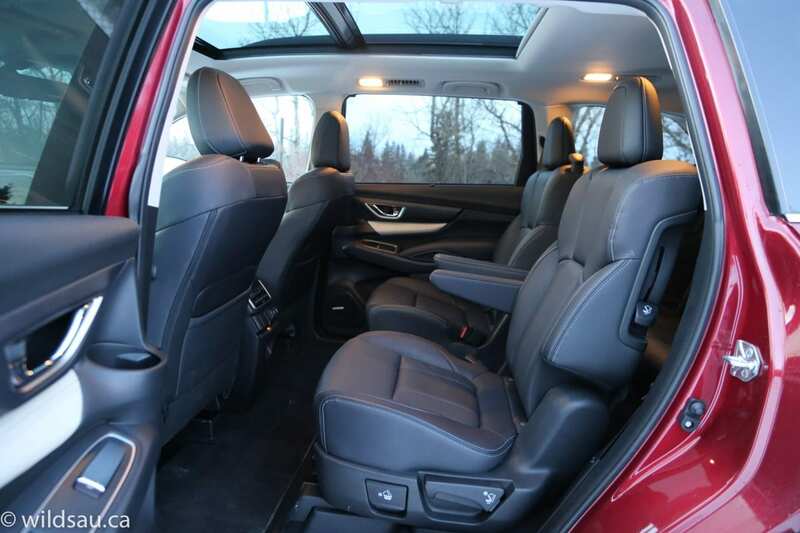 It feels even more spacious thanks to the massive panoramic sunroof overhead that goes all the way back over the second row and lets plenty of light in. 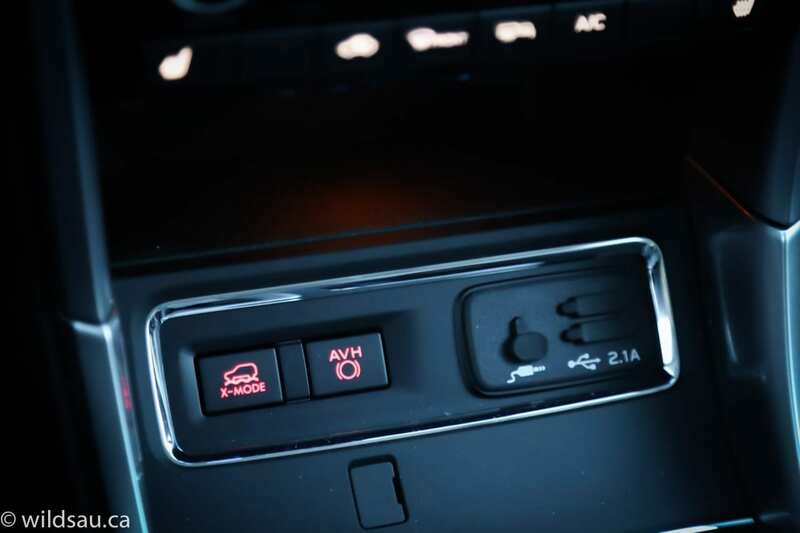 Second row passengers have their own separate automatic climate control panel, two USB charging plugs and a dual cupholder that folds out of the back of the centre console. 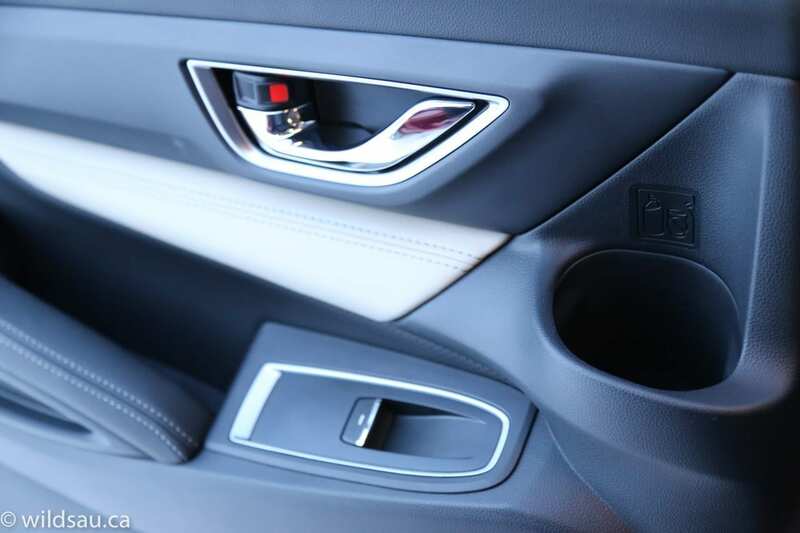 We appreciated the nice, deep cup/bottle holders and manual sunshades in the doors. The captain chair set up makes for a decent aisle in the middle, allowing smaller passengers like my kids to easily get to the third row without having to move the second row seating. 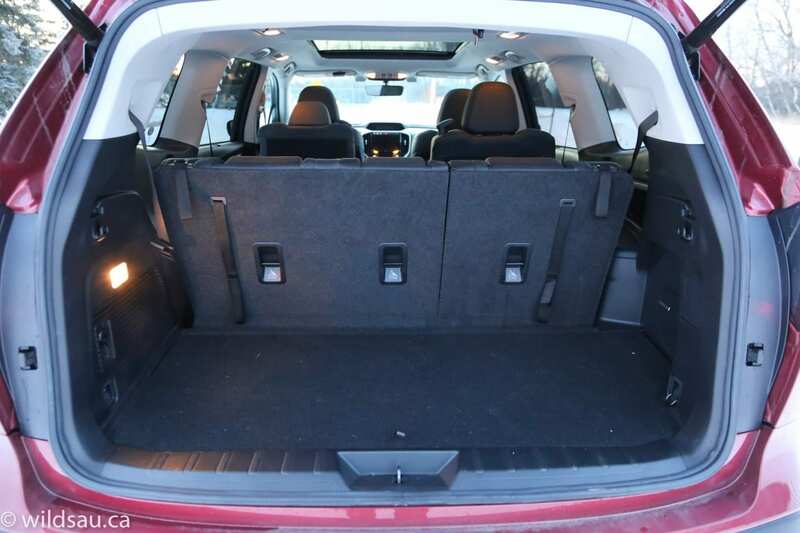 The third row is what you expect from a typical mid-size SUV. There are three seats back there (they also recline) and you could ostensibly get adults back there, but they wouldn’t be happy adults because of restrictive head and leg room. That said, my kids didn’t mind the third row at all. The right side of the third row has two USB plugs and three cupholders, the left side gets a couple of cupholders as well. If you’re transporting little folks in safety seats, you’ll find a total of three sets of LATCH anchors – two sets in the second row, one in the third. Under the centre stack is a rubberized tray where a smart phone could fit. In front of it are two USB ports and an auxiliary plug. The armrest lid reveals a deep carpeted bin and an organizer tray. 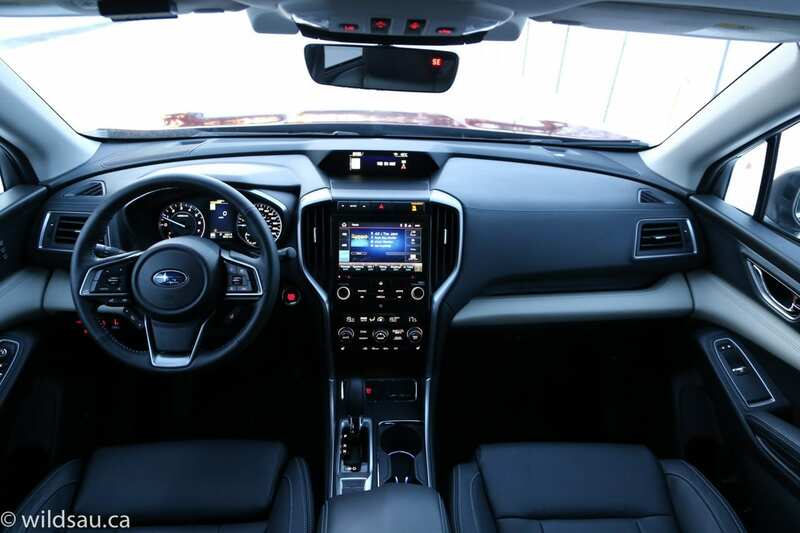 There’s a shallow tray that runs the width of the dash (in front of the passenger and to the left of the steering wheel) where smaller things could be stored. 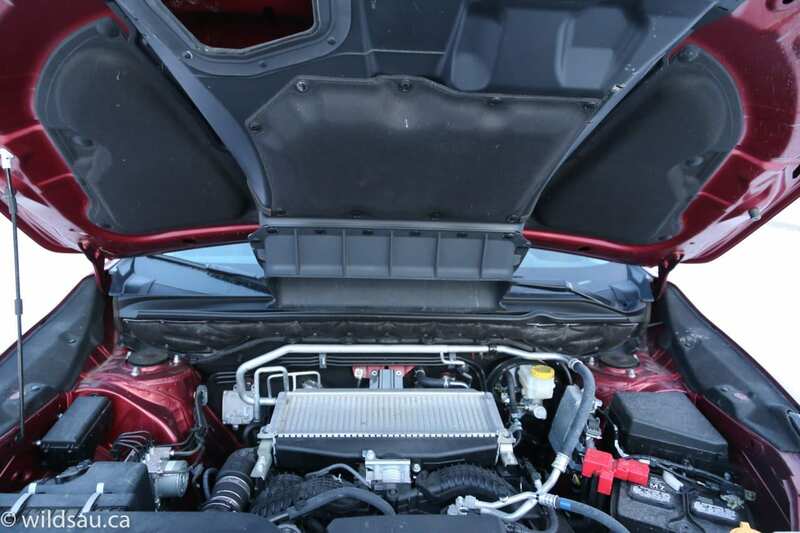 Pop the power trunk lid and you’ll find a sizable (498L) and highly usable space behind the third row seats. The third row splits 60/40. 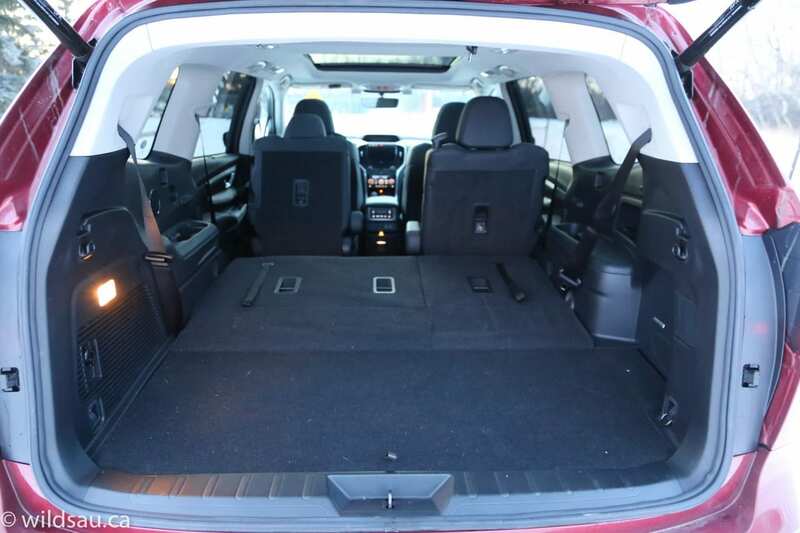 Fold it down and you increase trunk space to a very spacious 1,331L. 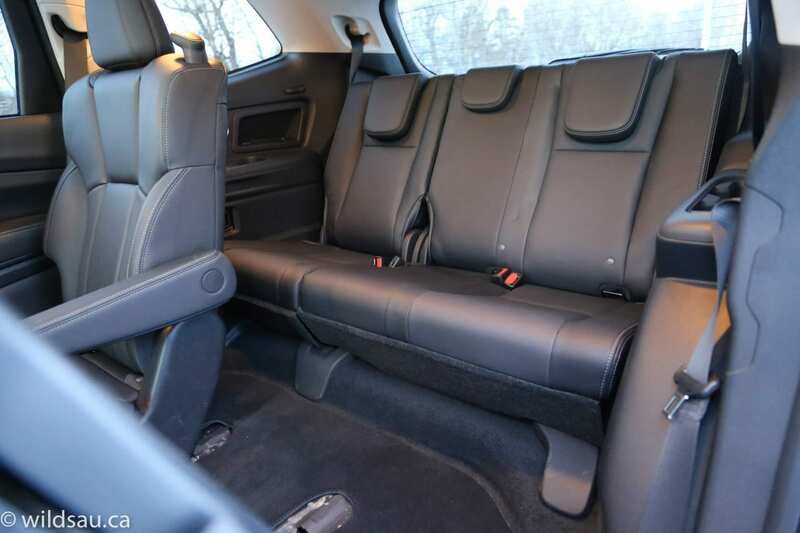 Of course you can fold the second row seats too and end up with a cavernous 2,435L trunk. There’s a 12V plug, a removable, retractable tonneau cover that can be stored under the trunk floor and some really solid tie-down points. A new turbocharged 2.4L 4-cylinder boxer lurks here, putting out 260HP at 5,600 RPM and 277 lb.ft of torque at 2,000 RPM. By the way, check out the air routing channels under the hood. I appreciate a company that makes sure its intercooler gets fed nice cold air. This engine needs to find a home in pretty much everything Subaru makes. I like it. Subaru is sticking with the CVTs, and of course you’ll get their full-time all-wheel drive system. That kind of power in an all-wheel drive vehicle this big and heavy doesn’t come free. 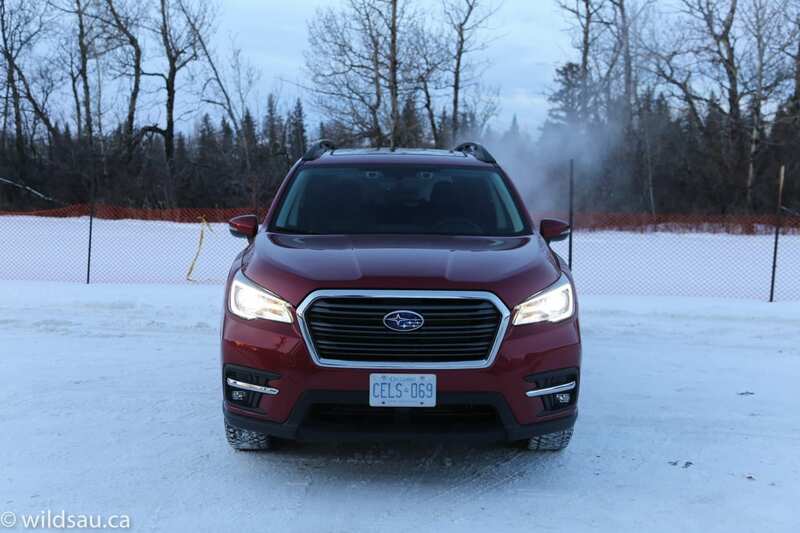 Subaru rates the Ascent at 11.6/9.0 L/100 km which feels a bit optimistic to me. We averaged 14.3 L/100 km while trying to drive it relatively economically. Ouch. I found the Ascent surprisingly fast off the line. 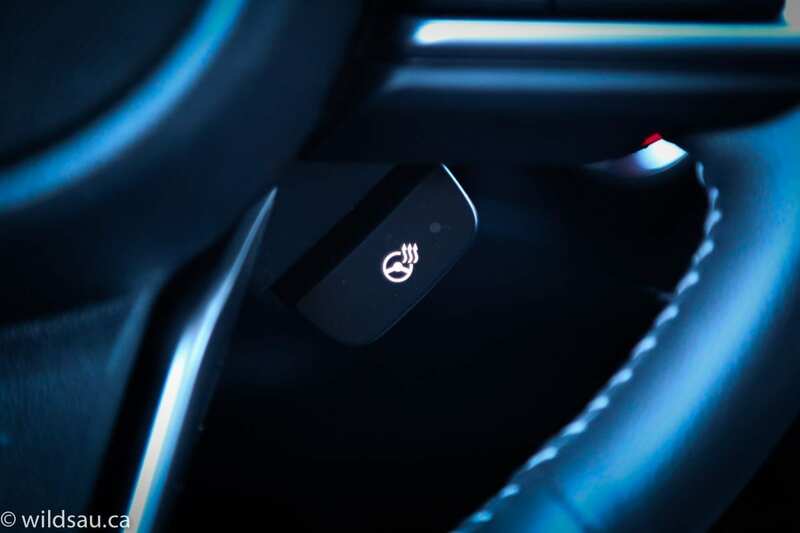 There’s enough power for every driving situation for sure. The smooth and unobtrusive CVT can be “shifted” manually and never really gets in the way, except when you’re already clipping along and need to pour on some power (usually for passing on the freeway or highway) – the transmission definitely takes longer than I’d like to spool the engine up and take advantage of the power. 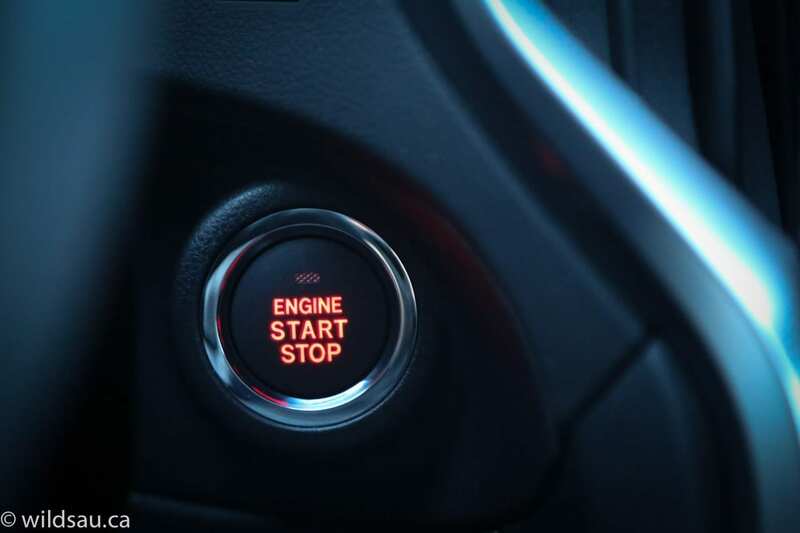 Once the transmission cooperates, passing is not a problem at all. 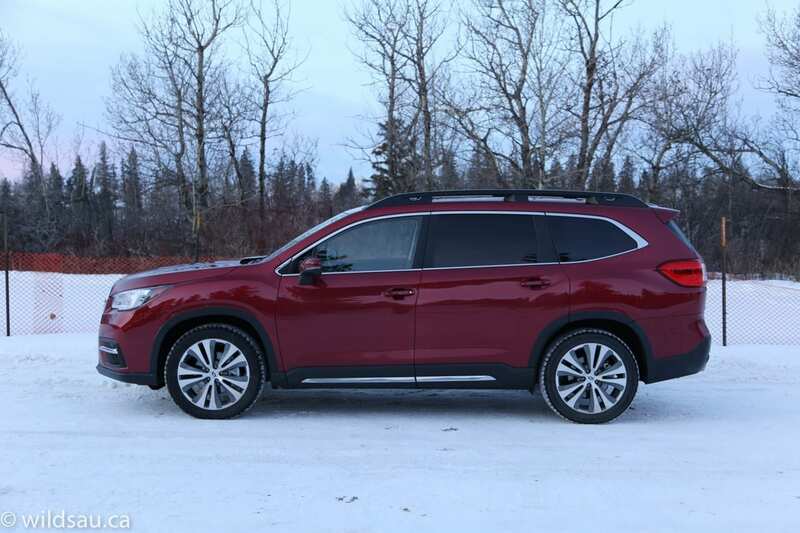 The combination is mostly smooth – we found occasional hints of coarseness from the engine or CVT, but nothing that bothered me. Frankly, I wish this engine was available in the Forester – this power was sorely missed in that car. Subaru tuned the suspension for a nice balance between an excellent, compliant ride and outstanding handling. I say outstanding with the caveat that this is still a very heavy and tall vehicle. You’ll feel it plow a bit because of the weight, and you’ll experience body roll in curves because of the height – neither of those are major detractors and this is a capable, competent vehicle when it comes to its road manners. 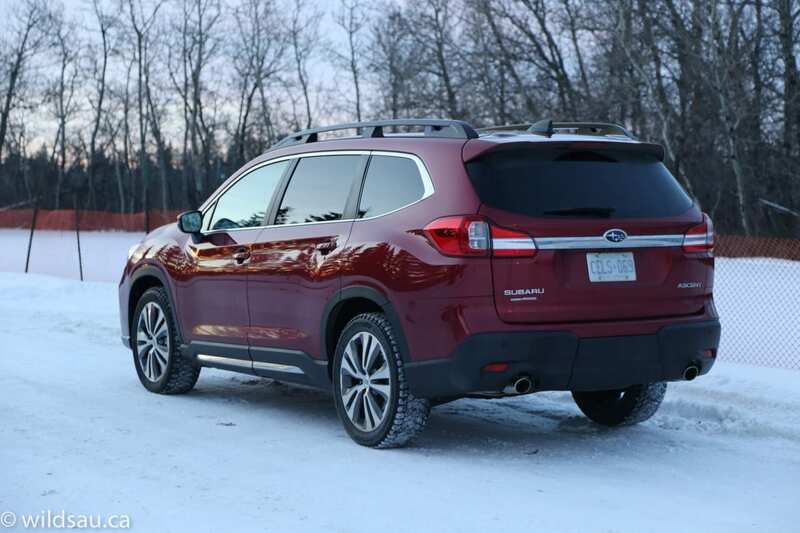 If you’re heading off the beaten path, the Ascent will rely first on its outstanding all-wheel drive. 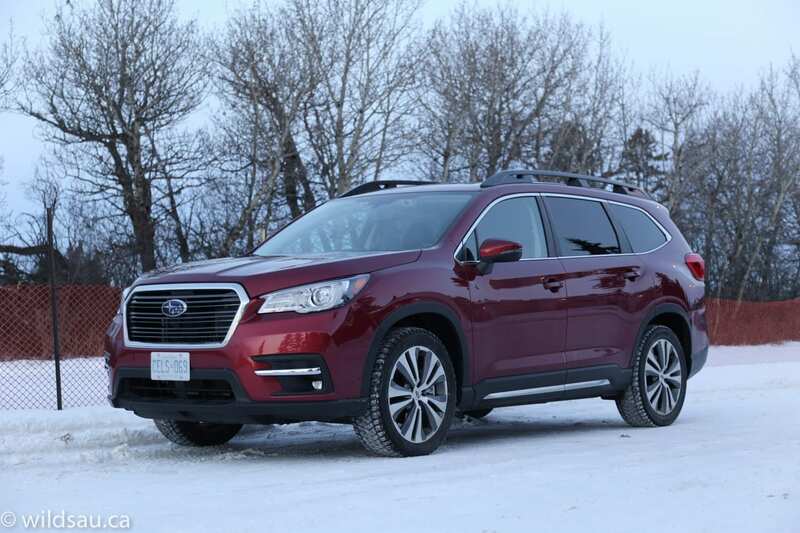 We got a ton of bad weather (including freezing rain and heavy snow) during our review period and there’s just nothing bad I can say about Subaru’s all-wheel drive system. It’s one of the very best and that’s all there’s to it. 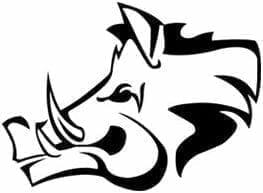 It’s always on, always doing the right thing and always awesome. 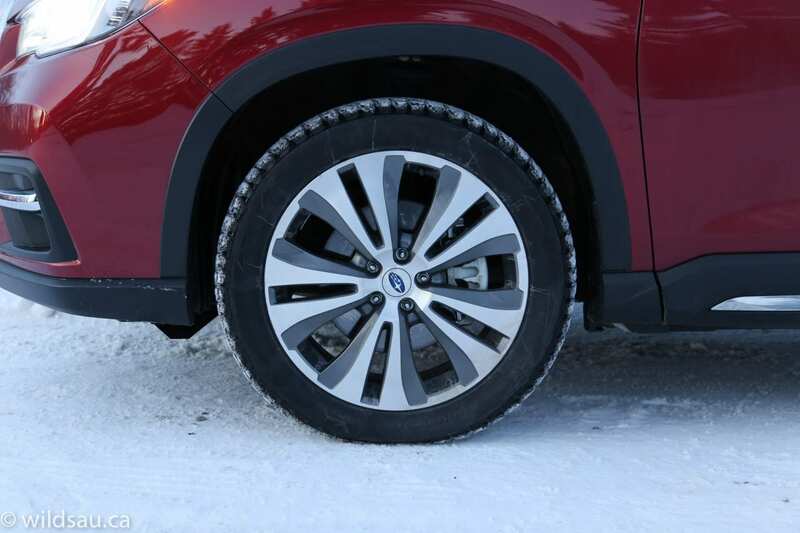 Thank you to Subaru for pairing an already terrific system with great winter tires. Back to off-roading – you can also turn on the X-mode, which will add a bunch of electronic grannies and help you navigate some more serious terrain including descending steep hills, gaining traction in some nastier stuff, etc. It only functions at very low speeds. We were very impressed with how quiet the Ascent was, even at highway speeds. Visibility out of the Ascent is excellent with one exception. The third-row headrests (when up and in use) really cut into the rear view. Towing things? The Ascent has a solid towing capacity of 2,270 kg (5,000 lb) with trailer brakes. WAF (Wife Approval Factor) was very high. She actually liked the styling and said it was a pleasure to drive the Ascent. She also found the technology easy to use and so, overall, it was an easy vehicle for her to live with. As I said, I am not a fan of the Ascent’s design. There’s nothing wrong with it, but it’s so boring. Then again, I don’t think buyers in this category are necessarily looking to stand out with their 3-row SUV choice. Other than the styling, I found very little not to like here. The Ascent felt well thought out and very well put together. And in this nearly-top-trim, it feels downright luxurious. I liked how it drove, I liked how much space it had, I liked how it felt on the road and how it did whatever we asked of it. 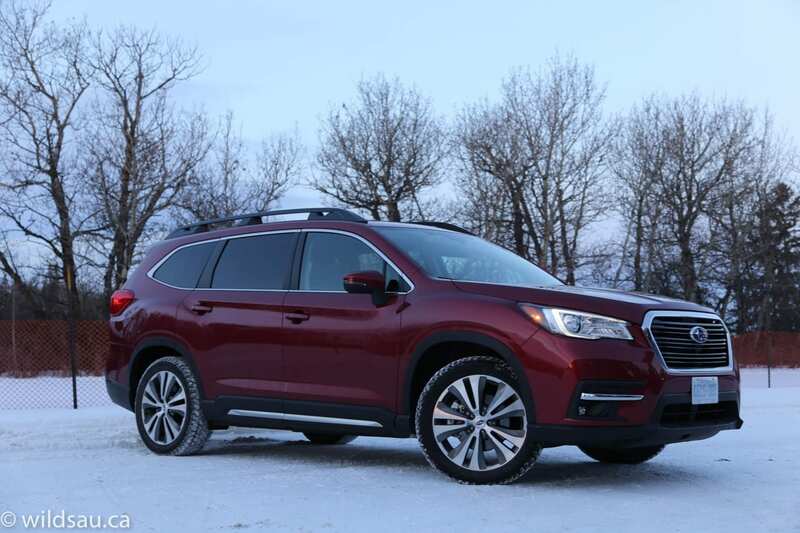 If you’re in the market for a mid-size 3-row SUV or crossover, you should be putting the Subaru Ascent on your shopping list. It’s exactly what you might be looking for.